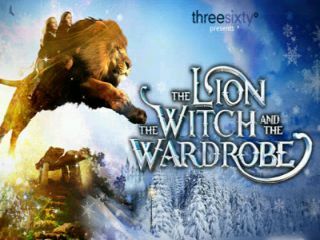 Aiming to be one of the theatrical events of the summer (although it has always seemed more of a Christmassy story to me), Rupert Goold has turned his customary directorial flair to his own adaptation of CS Lewis’ quintessential English classic The Lion, the Witch and the Wardrobe. But in choosing to mount this production in the threesixty theatre in the grounds of Kensington Gardens, a rather unforgiving purpose-built circular tent, the show faces an uphill struggle from the start to try and create the sense of theatrical magic and wonder that is needed to transport us through the wardrobe along with the four Pevensie children. NB this was a preview performance. The show is clearly aiming to be a family-friendly spectacular, the varied inhabitants of Narnia are evoked through a cross between Lion King puppetry and Cirque du Soleil physicality – imaginatively done if that’s your sort of thing, though readers of this blog will know it is not mine, at all – but the soulless atmosphere of the space leads to a rather sterile feel which the cast rarely overcome. Even Adam Cork’s music fails to get the pulse racing (the website says ‘the production is a play but does feature some live music and a pre-recorded fully orchestrated soundtrack’ so we’re clearly in “play with songs” territory rather than fully fledged “musical”) as the rather anodyne songs make little lasting impression and the muddy sound design meant there was precious little lyrical clarity. 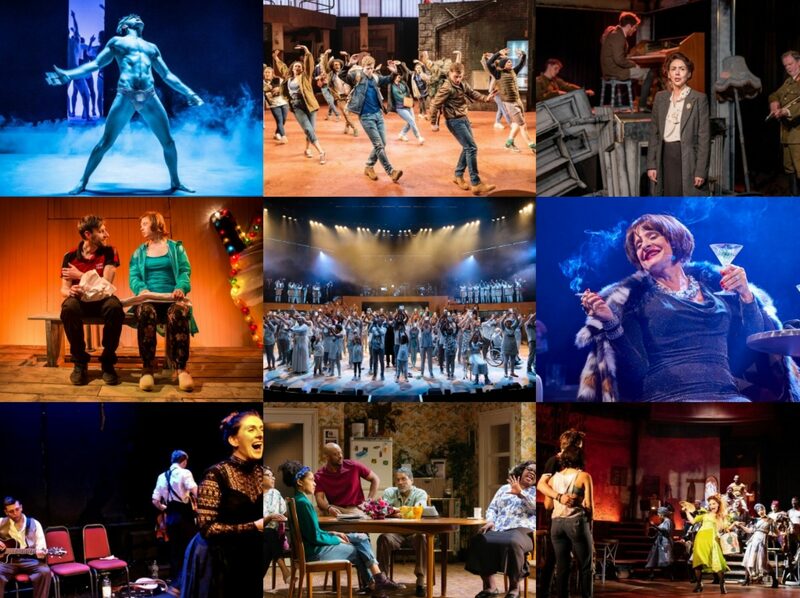 The staging, in the round, creates both limitations and opportunities and whilst there are attempts to address the former, one can’t help but feel that the latter aren’t exploited as fully as they could be. Though technically sophisticated, the circular stage with its revolves and reveals cannot hide the fact that the company have nowhere to go but round and round (or in some case up and down). The upper walls of the tent are intermittently used as a 360 degree cyclorama with clever and sometimes beautiful animation work from Chris Randall, but this was too often just decorative rather than fully integrated into the show which was a shame as when it worked well, it was one of the few times the venue choice made sense. There’s currently a curious quality to much of the acting, perhaps the result of being part of such an extravaganza or perhaps more a personal reaction to having such a close affinity to the story and these characters, that may well settle as the run progresses and the venue’s idiosyncracies better assimilated. Sally Dexter’s cruelly seductive White Witch is vampily well played along with David Rubin’s vicious Maugrim, and her summoning of her dark army is the highlight of the production and Sophie-Louise Dann and Paul Barnhill make a mostly engaging, hyperactive pair of Beavers. But the four Pevensies could do with a tad more gumption: Jonny Weldon’s brattish Edmund is closest where Philip Labey’s Peter needs a little more command as the heir presumptive of Cair Paravel. In the end though, the lack of atmosphere from the venue was the biggest problem for me and as the magic failed to weave its spell, my attention turned to the little niggling things. If there’s three people operating Aslan, why doesn’t his mouth move whilst David Suchet’s prerecorded voice growls his way through the lines? Why does Lucy fly her way into Narnia the first time? Can I sue under the Trade Descriptions Act for the complete misrepresentation of the poster image – that Aslan does not look like a tree…?! Why does CS Lewis have such a downer on Susan? How many times do we have to see clarinet-playing animals before it officially becomes a trend? (The Heart of Robin Hood was the first one FYI) How did I feel about there being a not-cheap merchandise stall? My expectations were probably a wee bit too high and too firmly rooted in my previous experiences with the source material, and combined with the sense that this is ‘event theatre’ for better or for worse, resulted in me feeling really rather ambivalent on the long walk back through the park to the tube station. I was lucky enough to pick up a £10 ticket through the lovely chaps @bargaintheatre and I’d say the show was worth about that for me. If you are thinking of going, and I do think people will find enough in here to like, I would honestly recommend going for the cheapest seats, as the in-the-round seating means that there’s not enough of a difference to justify paying a whole lot more to be just a handful of rows closer.